Umar hit on the belly of Fatima and caused the miscarriage of Mohsin. Among his qualities was that he was a memorizer of traditional reports and was cognizant of traditions and the only defect he had was that he had Shii beliefs. Muhammad bin Hammad Hafiz has said regarding him: He was a person having correct beliefs throughout his life. He, throughout his life had correct and firm beliefs. Later on Dhahabi condemns him for being a Rafidi (Shia) and for narrating this report and some other reports in condemnation of Caliphs and called him names, like: old man, deviated and licentious person, but can being a Shia lead to loss of integrity in a person to narrate a tradition? What logic and reasoning permits us to leave aside the reports of a person and to declare them as invalid only because of the fact that he is a Shia? If Shiaism is a criterion for acceptance or rejection of traditions, Ahle Sunnat should draw a line of invalidity on a large number of traditional reports in their six canonical books (Sihah Sitta), because the authors of Sihah Sitta have often narrated traditions from Shia (Rafidi according to them). Some of their names are mentioned in the footnote. How is it possible to believe that a person earned the titles of Imam, Hafiz and learned; and all his life he remains steadfast on faith, has strong memory and cognition of religious concepts, and his reports are of the rank that all scholars have consensus on them, but at the same time he is also called deviated and sinner? Can terms and qualities like Imam, Hafiz, learned and cognitive be mentioned together with words like: old man, deviated and licentious person? Yes, it is because of bigotry beyond limits, an illogical defense of the school of Caliphs and effort to defend their honor that a great personality like Dhahabi is compelled to make these hypocritical statements in his book. It is possible that they might reply that only being a Rafidi (Shia) is not the reason for the reporter to be condemned, on the contrary, it is being an extremist in being a Rafidi. Ibne Moin has said that he is an extremist Shia. Salmi has said: I asked Darqutni regarding him. He replied: He is a reliable person, but the only problem with him is that he has observed extremism in his Shiaism. If extremism in Rafdh (being a harsh Shia) by your own definition is talking ill of a Caliph acceptable to Ahle Sunnat and it becomes the cause of declaring the reporter as weak, why senior Ahle Sunnat scholars have narrated from them in their most authentic books? In the same way, it is possible that they might object: Since Ibne Abi Daram in the last days of his life has mentioned the defects of Abu Bakr and Umar and has cursed them, his reports are rejected and not acceptable. 1. Abu Sulaiman, Talid bin Sulaiman Muahribi 2. Abdur Razzaq bin Hamam. Although it is obvious that generally with regard to such persons, the attitude of Ahle Sunnat is that if the reports are in their favor they accept them and consider them credible (Hasan); like the traditional reports of Talid bin Sulaiman, which he has narrated in the excellence of first and second Ahle Sunnat Caliph, but reports which are opposed to Ahle Sunnat or against Abu Bakr and Umar, are considered weak due to his being a Rafidi. More regretful than that which is mentioned so far, is the fact that Ahle Sunnat scholars of science of narrators have appreciated those who have abused Amirul Momineen, Ali Ibne Abi Talib (a). Now, we ask: If cursing and abusing the companions of the Holy Prophet (s) is cause of weakening of the reporter, why Nasibis – enemies of Amirul Momineen (a) have been praised? Should one who abuses Abu Bakr and Umar be considered weak, but one who abuses Amirul Momineen (a) is regarded as trustworthy? Is this hypocritical stance justifiable? This person used to curse and abuse Amirul Momineen (a) seventy times every morning and evening. This matter is mentioned by three most senior Ahle Sunnat scholars of science of narrators. The astonishing fact is that this is a person about whom most praises have been recorded. If cursing and abusing Ahle Sunnat Caliphs becomes the cause of weakening of the reporter, why Bukhari has narrated from him? Why Ahmad bin Hanbal has praised him in such words? How is it possible that one who martyred the sons of the Messenger of Allah (s) in such a terrible manner and in such tragical circumstances, and grieved the daughter of the Messenger of Allah (s), be considered so reliable by Ahle Sunnat scholars in narrating traditions and be accepted as decisive proof by them? But one who is much devoted to Amirul Momineen Ali (a) and who considers His Eminence superior to the three Caliphs, or sometimes he insults one of the three Caliphs, how his reports are weak and unacceptable? All the statement mentioned above lead to the conclusion that traditional reports of Ibne Abi Daram do not have any objection and accusations like his being Rafidi or extremist Shia do not undermine the authenticity of his reports, because the same points are true for narrators of Bukhari, Muslim and other Sihah books of Ahle Sunnat. Lisanul Mizan, Vol. 1, Pg. 268, Ahmad bin Ali bin Hajar Abul Fadhl Asqalani Shafei (d. 852 A.H.), Mausasal Aalami Lil Matbuat, Beirut. 1406 – 1986, Third edition, Edited: Dairatul Marifa Nizamiya India. Seer Aalamun Nubla, Vol. 15, Pg. 578, Muhammad bin Ahmad bin Uthman bin Qaimaz Dhahabi, Abu Abdullah, (d. 748), Mausisatur Risala, Beirut, 1413, Ninth edition, Edited: Shuaib Arnaut, Muhammad Naeem Arqasusi. Mizanul Etedal fee Naqdur Rijal, Vol. 1, Pg. 283, Shamsuddin Muhammad bin Ahmad Dhahabi, (d. 748), Darul Kutub Ilmiya, Beirut, 1995, First edition, Edited: Ali Muhammad Maudh and Adil Ahmad Abdul Maujud. Ibne Abi Daram: Imam, Hafiz and learned, Abu Bakr Ahmad bin Muhammad Sirru bin Yahya bin Sirri bin Abi Daram. Seer Aalamun Nubla, Vol. 15, Pg. 576, No. 349, Biography of Ibne Abi Daram, Muhammad bin Ahmad bin Uthman bin Qaimaz Dhahabi, Abu Abdullah, (d. 748), Mausisatur Risala, Beirut, 1413, Ninth edition, Edited: Shuaib Arnaut, Muhammad Naeem Arqasusi. Seer Aalamun Nubla, Vol. 15, Pg. 577, No. 349, Biography of Ibne Abi Daram, Muhammad bin Ahmad bin Uthman bin Qaimaz Dhahabi, Abu Abdullah, (d. 748), Mausisatur Risala, Beirut, 1413, Ninth edition, Edited: Shuaib Arnaut, Muhammad Naeem Arqasusi. Seer Aalamun Nubla, Vol. 15, Pg. 578, No. 349, Biography of Ibne Abi Daram, Muhammad bin Ahmad bin Uthman bin Qaimaz Dhahabi, Abu Abdullah, (d. 748), Mausisatur Risala, Beirut, 1413, Ninth edition, Edited: Shuaib Arnaut, Muhammad Naeem Arqasusi. Mizanul Etedal, Vol. 1, Pg. 139, No. 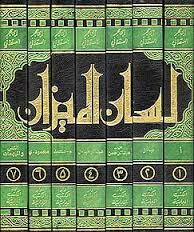 552, Biography of Muhammad bin Ahmad bin Sirri bin Yahya bin Abi Daram Muhaddith Abu Bakr Kufi, Lisanul Mizan, Ibne Hajar Asqalani, No. 825, Biography Ahmad bin Muhammad Sirri bin Yahya bin Abi Daram Muhaddith Abu Bakr Kufi. He was famous as a Rafidi. Seer Aalamun Nubla, Vol. 9, Pg. 556, Biography of Ubaidullah bin Musa, No. 215. Indeed Ja’far bin Sulaiman is a Rafidi. Mizzi has narrated from Sufyan that: He is a Rafidi. He was asked about Fazal bin Muhammad Sherani; he said: He is honest in narrating reports, but it is doubted that he is more inclined to Shiaism. He was asked: He is quoted in Sahih books. He said: Book of my teacher (Sahih Muslim) is full of Shia reports! Shiaism: Being devoted to Ali (a) and considering him to be superior to all companions, but if someone considers Ali (a) to be superior to Abu Bakr and Umar, he has been extremist about Ali (a) and he is an extremist and is called as Rafidi, but if he is only devoted to him, he is a Shia and if he in addition to being devoted to Ali, talks ill of the companions and expresses his enmity to them, he is an Extremist Shia (Ghali). Hadial Sari, Muqaddima Fathul Bari Sharh Sahih Bukhari, Vol. 1, Pg. 459, Abul Fadhl Ahmad bin Ali bin Hajar Asqalani Shafei (d. 852 A.H.), Darul Marifa, Beirut – 1379, Edited: Muhammad Fawad Abdul Baqi, Muhibuddin Khatib. Tahdhibut Tahdhib, Vol. 7, Pg. 149, Ahmad bin Ali bin Hajar Abul Fazal Asqalani Shafei (d. 852 A.H.), Darul Fikr, Beirut, First edition, 1404 A.H. – 1984 A.D.
Abu Dawood has said: He is a debased Rafidi and a wicked man and he has abused Abu Bakr and Umar…Abbas Dauri, in another place has said with regard to Talid bin Sulaiman: He is a great liar and has abused Uthman and one who abuses Uthman, Talha or any other companion is Anti-Christ (Dajjal) and his traditions are not written and the curse of Allah, all people and angels be on him. Tahdhibul Kamaal, Vol. 4, Pg. 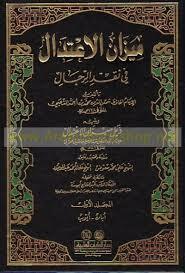 321, Yusuf bin Zaki Abdur Rahman Abul Hajjaj al-Mizzi (d. 742 A.H.), Edited: Dr. Bishar Awad Maruf, Mausisatur Risala, Beirut, First edition, 1400 A.H. – 1980 A.D. He has narrated some things in which he is alone in narrating them and he his accused of being a Shia. He has resorted to extremism in being a Shia, he was devoted to Ali and was inimical to those who fought Ali. Tadkirah Huffaz, Vol. 1, Pg. 364, Shamsuddin Muhammad bin Ahmad bin Uthman Dhahabi (d. 748 A.H.), Darul Kutub Ilmiya, Beirut, First edition. I heard from Mukhallad Shairi that he said: I was with Abdur Razzaq, when mention was made of Muawiyah. Abdur Razzaq said: Do not contaminate my gathering with the mention of Muawiyah bin Abu Sufyan. Mizanul Etedal fee Naqdur Rijal, Vol. 4, Pg. 343, Shamsuddin Muhammad bin Ahmad bin Uthman Dhahabi (d. 748 A.H.), Edited: Shaykh Ali Muhammad Maudh and Shaykh Adil Ahmad Abdul Maujud, Darul Kutub Ilmiya, Beirut, First edition, 1995 A.D.
Seer Aalamun Nubla, Vol. 9, Pg. 570, Shamsuddin Muhammad bin Ahmad bin Uthman Dhahabi, Edited: Shuaib Arnaut, Muhammad Naeem Arqasusi, Mausisatur Risala, Beirut, Ninth edition, 1413 A.H. I heard Ali bin Abdullah bin Mubarak Sanani say: Zaid bin Mubarak was the companion of Abdur Razzaq and he had heard much from him; but in the end he tore up his books and adopted the companionship of Muhammad bin Thawr. When they asked him about it, he said: I was with Abdur Razzaq when the tradition of Ibne Hadsan was mentioned, when he reached to the part when Umar said to Ali and Abbas: You have come to take the share of inheritance of your nephew and Ali has come to take the inheritance of his wife from her father, Abdur Razzaq said: See this fool is saying: inheritance of his nephew, he does not say: The Messenger of Allah (s).That is why I left him and never went back to him; I also do not narrate traditions from him. In Sihah books, traditions are narrated from him and he was highly learned. If Abdur Razzaq also apostates from Islam, even then I will not leave his traditions. Marifate Ulumul Hadith, Vol. 1, Pg. 139, Muhammad bin Abdullah Abu Abdullah Hakim Nishapuri (d. 405 A.H.), Edited: Sayyid Moazzam Husain, Darul Kutub Ilmiya, Beirut, Second edition, 1397 A.H. – 1977 A.D.
Seer Aalamun Nubla, Vol. 9, Pg. 573, Shamsuddin Muhammad bin Ahmad bin Uthman Dhahabi (d. 748 A.H.), Edited: Shuaib Arnaut, Muhammad Naeem Arqasusi, Mausisatur Risala, Beirut, Ninth edition, 1413 A.H.
Tahdhibut Tahdhib, Vol. 6, Pg. 280, Ahmad bin Ali bin Hajar Abul Fadhl Asqalani Shafei (d. 852 A.H.), Darul Fikr, Beirut, First edition, 1404 A.H. – 1984 A.D.
 Ahmad bin Sulaiman Maruzi has narrated from Ismail bin Ayyash that he said: I accompanied Huraiz bin Uthman from Egypt to Mecca. During this period he spoke ill of Ali (a) and cursed him. Tahdhibul Kamaal, Vol. 5, Pg. 576, Yusuf bin Zaki Abdur Rahman Abul Hajjaj al-Mizzi (d. 742 A.H.), Edited: Dr. Bishar Awad Maruf, Mausisatur Risala, Beirut, First edition, 1400 A.H. – 1980 A.D.
Tarikh al-Islam wa Wafyatul Mashahir wal Aalaam, Vol. 10, Pg. 123, Shamsuddin Muhammad bin Ahmad bin Uthman Dhahabi (d. 748 A.H.), Darul Kitab al-Arabi, Lebanon, Beirut, 1407 A.H. – 1987 A.D. First edition, Edited: Dr. Umar Abdus Salam Tadmiri. Ibne Hibban says: He cursed Ali (a) seventy times every morning and evening. When he was asked the reason for it, he replied: He decapitated my father and ancestors. Tahdhibut Tahdhib, Vol. 2, Pg. 209, Ahmad bin Ali bin Hajar Abul Fadhl Asqalani Shafei (d. 852 A.H.), Darul Fikr, Beirut, First edition, 1404 A.H. – 1984 A.D. They inquired about him from Ahmad bin Hanbal, he said twice: He is trustworthy (extremely reliable) and he also said: In Syria there is no one more confident in traditions and sayings than Huraiz. Maaz bin Maaz says: When Huraiz, Abu Bakr bin Maryam and Safwan were mentioned before Ahmad bin Hanbal, I heard him say: Among them none is as reliable as Huraiz. On another occasion I heard from Ahmad that he said twice: Huraiz is reliable. Tahdhibul Kamaal, Vol. 5, Pg. 572, Yusuf bin Zaki Abdur Rahman Abul Hajjaj al-Mizzi (d. 742 A.H.), Edited: Dr. Bishar Awad Maruf, Mausisatur Risala, Beirut, First edition, 1400 A.H. – 1980 A.D. He is a reporter of Bukhari and other four Sahihs of Ahle Sunnat (except Sahih Muslim). Ijli says: Umar bin Saad has narrated traditions from his father and others have quoted from him. He was a companion of companions (Tabii) and he was trustworthy. He was among those who killed Husain (a). Tahdhibul Kamaal, Vol. 21, Pg. 357, Yusuf bin Zaki Abdur Rahman Abul Hajjaj al-Mizzi (d. 742 A.H.), Edited: Dr. Bishar Awad Maruf, Mausisatur Risala, Beirut, First edition, 1400 A.H. – 1980 A.D.
Tahdhibut Tahdhib, Vol. 7, Pg. 396, Ahmad bin Ali bin Hajar Abul Fadhl Asqalani Shafei (d. 852 A.H.), Darul Fikr, Beirut, First edition, 1404 A.H. – 1984 A.D.